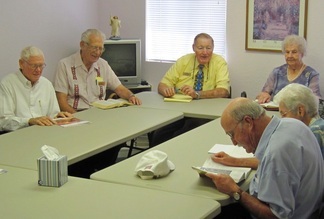 World Religion is studying the Book of Hebrews. Some of the topics will be the Superiority of Jesus, Christ as the "Greatest High Priest", the Superior Covenant, the Ultimate Mediator and Old Tradition's compared to the "New Savior". This will be an interesting Class! Please come join us at 8:45 on Sunday mornings. We meet in the McShane building, upper floor. 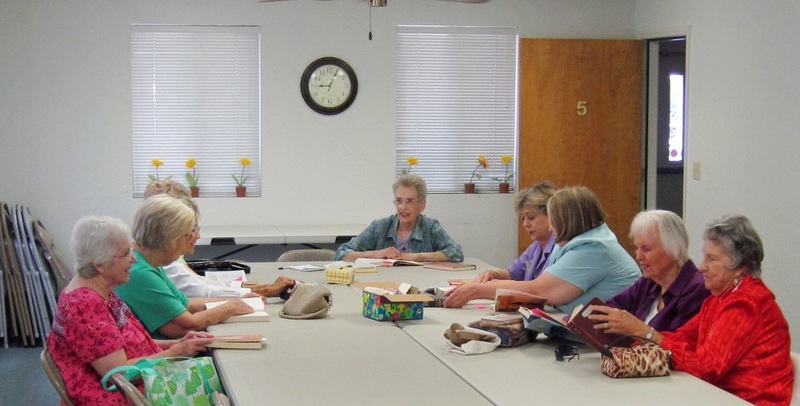 Truth Seekers ladies' Sunday School class meets on Sunday at 9:00 a.m. In the McShane building. We are currently studying the book JUST LIKE JESUS, by Max Lucado, The theme is ... "God loves you just the way you are, but he refuses to leave you that way. He wants you to be .... Just Like Jesus." Our time together is for reading, inspirational learning and discussion. Please call the church office for more info.